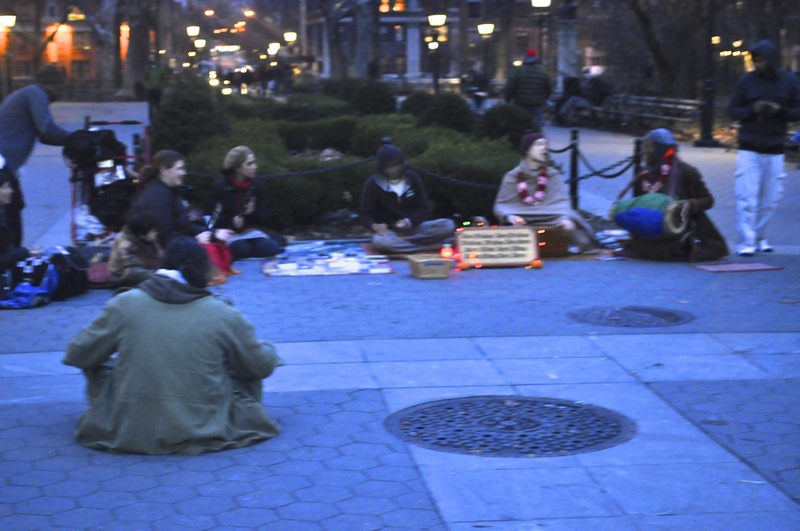 Arts and Culture | BE.SPOKE. I took this picture in Harrisonburg, Virginia. I wasn’t sure what a Masonic Temple was then but was curious assuming it to be something historically important. Turns out that these are actually lodges, associated with Freemasonry. And by lodges, the reference is not to the physical place but to the assembly of people. This is probably where they meet and work. 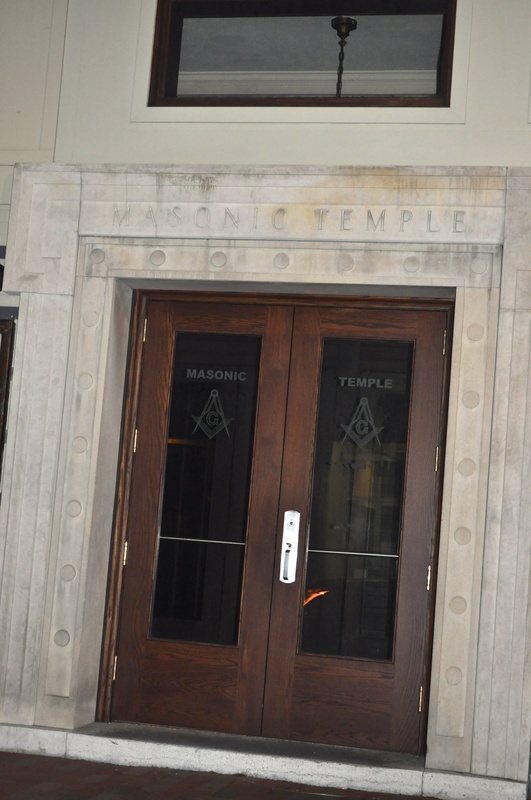 The symbol that you see on the doors is said to be one of the most prominent symbols of Freemasonry. It includes a square and a compass. The letter G in the middle is said to represent God. On a walk to the Bayonne Park, I saw this building and thought it looked beautiful. Took a picture of it. Didn’t bother to go closer and take a look. When I showed the photo to my sister, she pointed out that this building houses the restrooms! 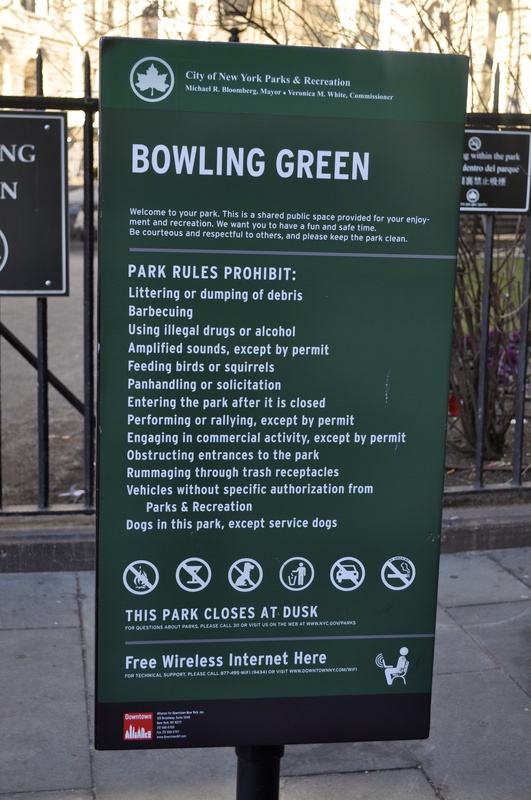 This sign is seen near City Hall, New York City, New York. Not too sure why it’s named so. 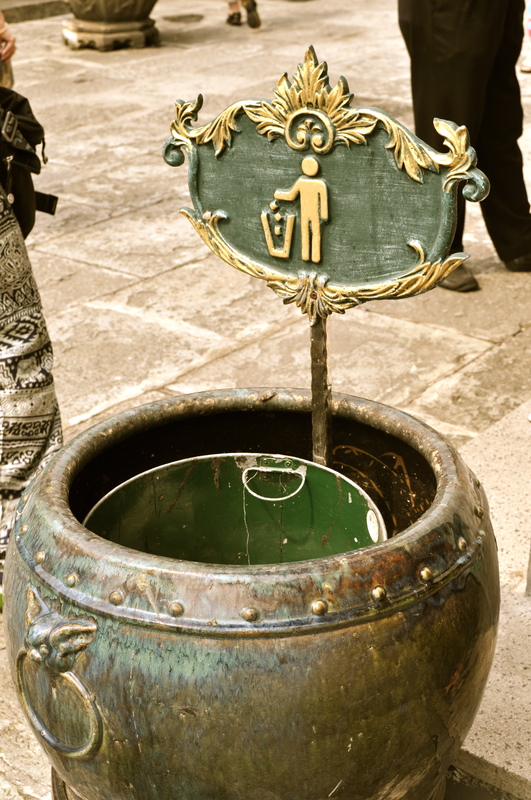 Dust Bin seen at the Wat Phra Kaew in Bangkok, Thailand. Our third day in Bangkok was set aside to do some touristy stuff. 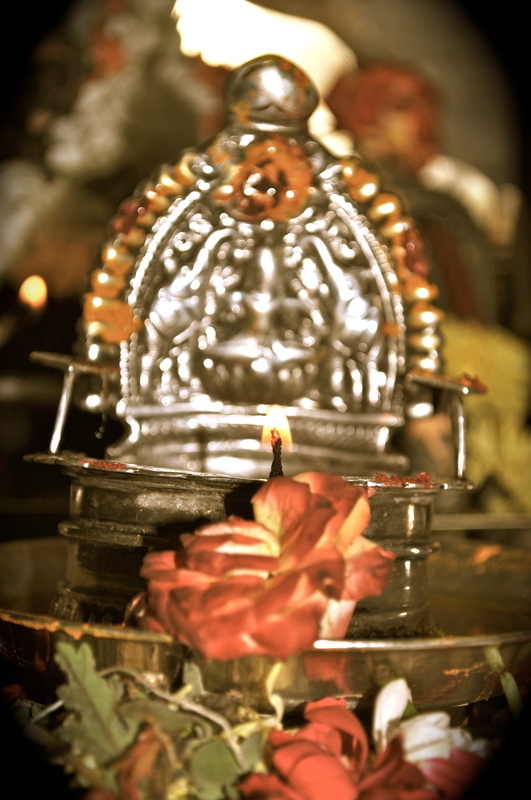 So we decided to head out to the famous temples in the city. Since it was a Sunday there was far less traffic and we reached the Wat Phra Kaew in less than 20 minutes. This temple is located at the Grand Palace premises very close to the banks of the Chao Phraya river. You need to be appropriately dressed for this place – legs and feet covered, no bare shoulders. You could otherwise borrow clothes at the entrance counter for a tiny deposit. Those skirts they lend actually look very beautiful. So I would say dress inappropriately and you will get to at least wear their traditional wrap-around skirts! 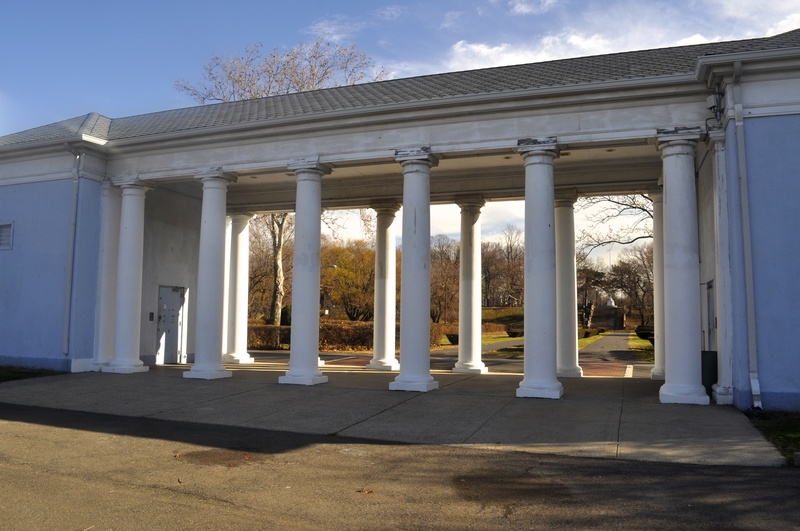 The temple charges an entry fee. You can take a guided tour if you want details of these temples. We just did some basic sight-seeing. The temple is really beautiful. The towers, the statues, the details on the wall, very beautiful. 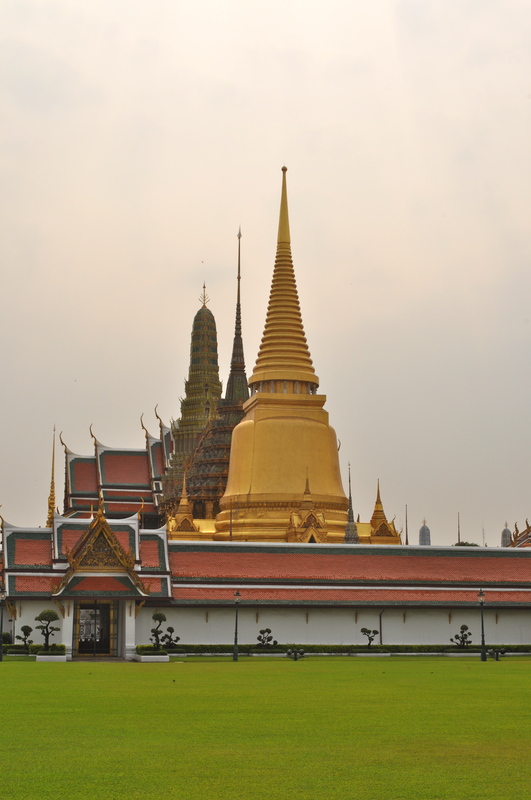 The main temple building houses the emerald Buddha. My sister-in-law and I did not even know that it was the emerald Buddha because it was so ornately decorated. I realised only after I returned and read up on the Internet. We thought the emerald Buddha was in some other temple which we had skipped citing lack of time. We did not even go inside the Grand Palace and pleased our eyes just with its exteriors. After some photographs and walking around, we headed out to the next temple which has the Reclining Buddha. While many may tell you that you can walk from the Wat Phra to Wat Pho, I would suggest you take a tuk tuk like we did. In the hot sun, you really don’t want to walk. 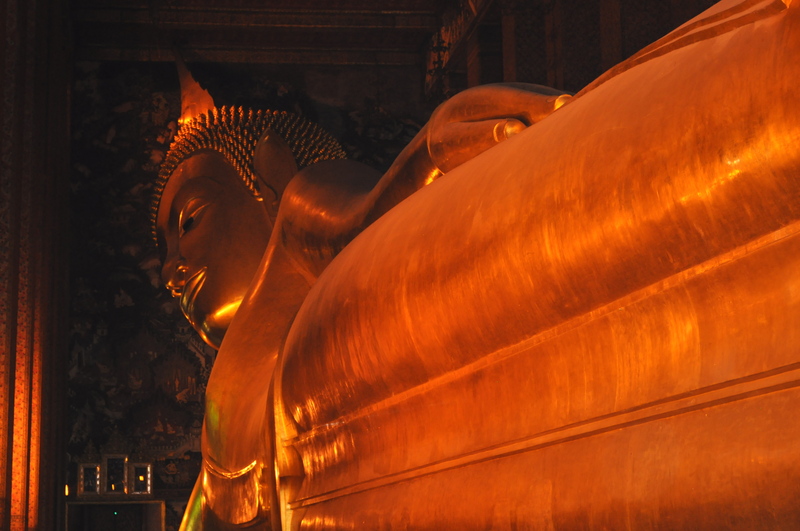 The Wat Pho temple is much smaller and is mainly known for the Reclining Buddha which is massive and magnificent. It is known to be a very sacred temple as well. I would suggest visiting both these places since it is a major tourist attraction and very beautiful. We again skipped the last of the tri-temples – Wat Arun, located on the other side of the river. My sister-in-law and I wanted to book a dinner cruise for that evening, so we headed out to that. My brother and nephew headed out to the Samutprakarn crocodile farm which I had visited on Day One. The best mall ever – Platinum! After booking the dinner cruise at our hotel itself, my sister-in-law and I left for Platinum mall. This mall in fact does not come up very often when you search online about what to do in Bangkok. Surprising, because this was the best place in Bangkok that we had ever seen! We got to know of it through my brother’s colleagues. The mall is really every girl’s dreams! It is dedicated to women and every floor is jam-packed with stores selling everything a girl needs! There are clothes and more clothes. There is a floor dedicated only to bags. Another floor only for footwear. It is amazing! Now these are not branded. But they are really good. It’s not like a wholesale place. But if you pick more than three items, you will get a really good price. My sister-in-law and I went bonkers. We didn’t go crazy shopping but we did pick up some good stuff. We were worried about being pressed for time as we had to be back at the hotel by 5 PM since we had to get ready for the dinner cruise. So after rushing through the mall, we had a quick byte in McDonalds and walked out only to find an adjacent building also called Platinum. We entered the building to realise that this place was similar to the previous one. Floors and floors of clothes! Again! This building seemed to have even more shops! We rushed through most of the shops as we were running out of time. We had in fact planned to go to another mall in the city. Obviously we scrapped that. So, here are a couple of take aways. Platinum mall seemed to be the best place to shop in Bangkok. And we discovered that there are two malls adjacent to each other. Try to keep aside a good amount of time to spend there. The more you buy, the more you can bargain. The clothes are really good. The shop owners may be nasty, but stand your ground. And don’t waste their time either! My sister-in-law and I left the mall, with pretty much long faces as we really would have loved to spend more time there. We took a tuk tuk back to our hotel. The ride was worse than a roller coaster and we survived! We got ready for our dinner cruise. Now, we booked the cruise through our hotel. The ticket includes hotel pick up and drop and international buffet. We were picked up from the hotel in a minivan at about 6 PM. We reached the river banks which was actually a mall, at about 6.30 only to be told that the cruise starts at 7.45 PM and that we can go around the mall till then. If we had booked the cruise at the mall, it would have been way cheaper. 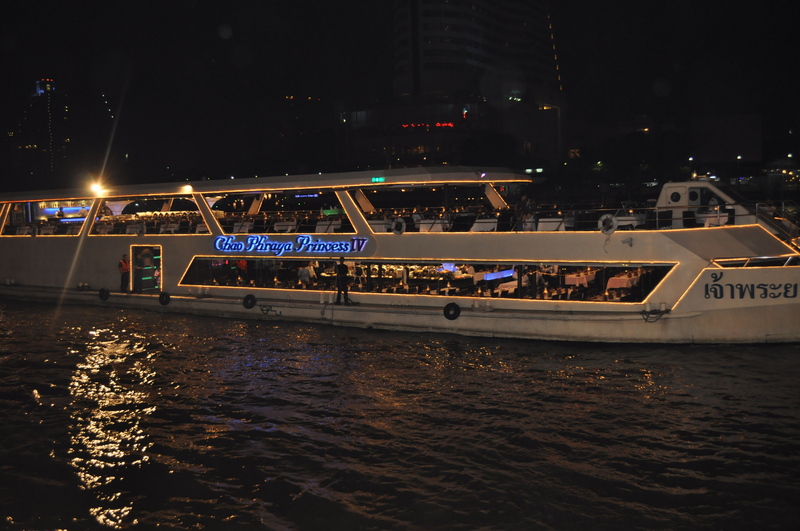 The cruise we booked was the Chao Phraya Princess. After some window-shopping we finally got to get onto our boats. And then we realised another major bungle up. The entire lower deck of the boat seemed to have been allocated to only Indians. The buffet was Indian, not international. The upper deck seemed to have other foreign nationals. The emcee on the lower deck started singing Made in India, Yeh Dosti and what not, only to my absolute nightmare. I came to Bangkok for this! And there was a huge group of Indian men who were totally enjoying it. We had to put up with eating kebab, tomato soup, papad and biriyani. About 30 minutes into our cruise, my sister-in-law had had enough and spoke to matron on board and got us seats on the upper deck! So we got to go to the upper deck, which had several empty tables, and enjoy international cuisine as well! So we really got to do a bit of both and were saved of Munni Badnam Hui and Jai Ho being rendered on the deck below! 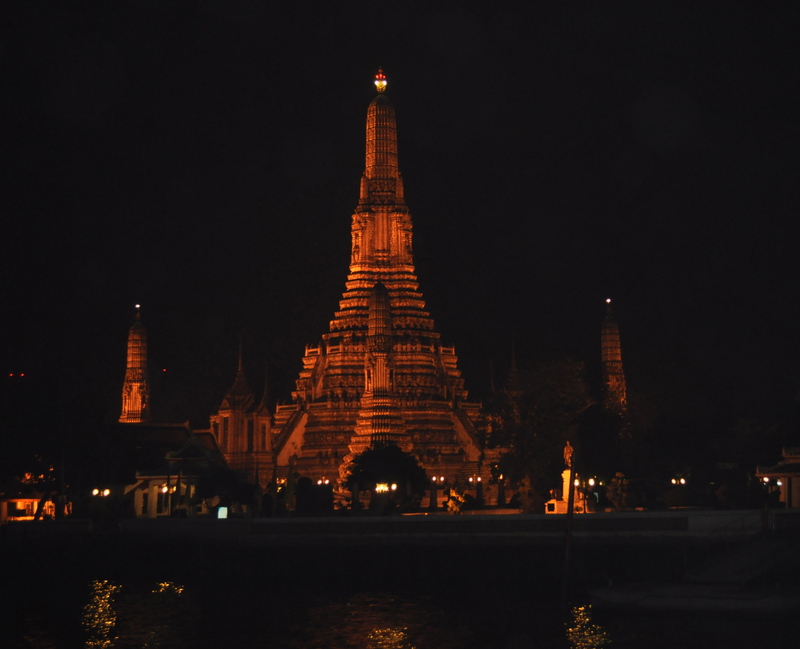 During the cruise you also get to enjoy the lit up Wat Phra Kaew and Wat Arun temples. They are absolutely beautiful. The entire cruise lasts about two hours. Would I recommend it? Yes, if you have the time. It’s just a different experience, may not be paisa vasool though. We asked our minivan driver to drop us off at Patpong as my sister-in-law wanted to check out fake bag stores. We ended up not buying any bags. We did pick up a few souvenirs like fridge magnets (you get better ones at the airport, though expensive) and stuff and headed back to the hotel for our last night in Bangkok.